Crime Stoppers of Eddy County is seeking the public’s assistance in locating a pecan thief. 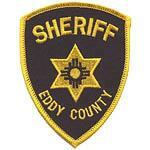 Eddy County Sheriff’s Office deputies responded Thursday to the 100 block of East Castleberry Road in reference to the larceny of pecans. Upon arrival, they were informed an unknown male individual had been spotted in the Chase Farms orchard stealing pecans. 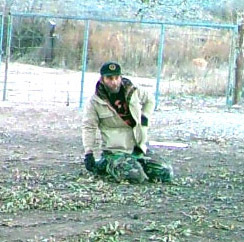 Surveillance cameras were able to capture the above image of the man as he was placing pecans into a bag. The total loss value is unknown at this time. • Call 575-887-1888 or, toll-free, 1-844-786-7227. • Use the mobile app P3 Tips. A reward has been issued for the tip ending in 92; to seek this reward, use the P3 Tips application.